Earlier this year, Purvi Patel left a courthouse in handcuffs. The Indiana woman accused of both feticide and child neglect was staring down a 20-year sentence for taking miscarriage-inducing pills purchased online — an allegation that was not entirely proven during her trial — and terminating a late-term pregnancy that resulted in a stillbirth. But whether or not Patel actually took those pills doesn't matter at this point; the judge and jury believed self-terminating a pregnancy was a punishable offense. Patel became the first American woman convicted of ending a pregnancy with abortion pills, and she won't be the last. This week, it looked as though Kenlissia Jones faced a bleaker fate than Patel. The 23-year-old from Albany, Georgia, was charged with malice murder and possession of dangerous drugs after she arrived at a local hospital having just given birth. The murder charge was dropped Wednesday. Jones reportedly went into labor as a neighbor drove her to the emergency room, not long after she took four Cytotec pills, WALB TV reported. (Cytotec is a brand of misoprostol, one of the two most-common drugs prescribed by doctors to terminate pregnancies.) If her murder charge had not been dropped, Jones could have faced the death penalty — the death penalty for ending a pregnancy in not the safest or most sterile manner, but not an entirely illegal one, either. Abortion opponents and other critics may have thought reproductive health advocates were overreacting to Patel's sentence last April, but the reaction now seems more than just. The criminalization of women who have abortions is happening in America, and it's what advocates have feared as abortion laws become more oppressive across large swaths of the United States. But it's not just the obvious abortion restrictions, which typically target doctors and clinics rather than patients, contributing to this disturbing new trend. As the Religious Right pushes for greater rights for the unborn earlier in pregnancy, states have been simultaneously strengthening their already-existing fetal harm laws and using them in creative ways — that is, to penalize women who self-terminate a pregnancy or endure unexpected pregnancy loss such as a miscarriage or stillbirth. This is what happened in Patel's case. Patel testified that she experienced an emergency delivery, which resulted in a dead fetus; she stated that she even tried to revive the fetus as she lay bleeding on her bathroom floor. If Patel didn't take the abortion pill, as prosecutors alleged, she was still criminalized for a loss of pregnancy. It was a tragedy, but was it a crime? "The sentence for feticide [in Patel's case] demonstrates that the application of the feticide statute in Indiana is being expanded to criminalize obstetric emergencies, unhealthy behavior, and self-abortion with online or alternative abortifacients," Ellen Braunlin and Carolyn Meagher of the Indiana Religious Coalition for Reproductive Justice told Bustle via email following Patel's sentencing. They called her harsh sentence "incomprehensible." According to Lynn Paltrow of the National Advocates for Pregnant Women, Jones' charges had been an even greater violation of her rights. "There are no criminal statutes in Georgia that permit punishment of women based on pregnancy or pregnancy outcomes," Paltrow said Tuesday in a statement. "The [Georgia] constitution, as well as human rights principles, prohibit such punitive laws directed to pregnant women." Paltrow added that Jones' arrest confirms the newly energized anti-abortion movement is now leveraging its power over unexpected pregnancy loss and desperate self-termination. But unlike nations where abortion is completely outlawed — such as Chile and El Salvador, where women are imprisoned for years for either self-terminating or seeking an illegal abortion — the anti-abortion contingent here in America has never advocated for throwing women in prison. "We call on leading anti-abortion organizations, who have publicly and repeatedly said that they oppose punishing women for having abortions, to stand with Kenlissia Jones," Paltrow said. 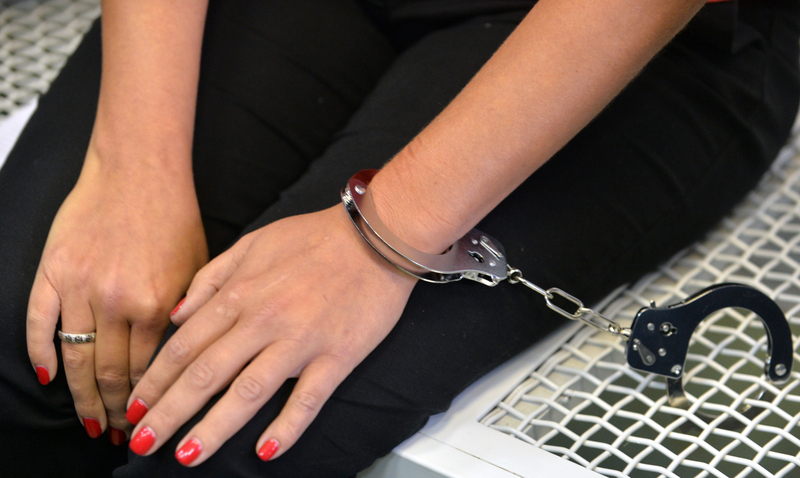 "People who seek medical attention for any aspect of pregnancy ... should not fear arrest." Cases like Jones and Patel are not outliers; in fact, they may just happen more often, as states not only continue to shutter clinics, but also tighten their restrictions on medication-induced abortions. It's interesting to note that as the abortion pill becomes more accessible across the globe — particularly in countries where abortion is outlawed, thanks to the international network Women on Web, which advises women on how to procure and take the drugs — the abortion pill may become something of an oddity in the United States over the next few years. According to the Guttmacher Institute, nearly 20 states ban telemedicine abortion, which would allow doctors to advise women via video-conferencing on how to take the pill — a benefit for women living in rural areas. Three states now require women to take both abortion pills in a doctor's office, instead of the commonly used method of having a woman take the first pill in the office and the second one at home (for states with waiting periods, this still necessitates two trips to the clinic). Oklahoma is also trying, for the second time, to ban the abortion pill outright, and several other states have also tried to render the practice obsolete. Any push by doctors or organizations to expand access to the abortion pill seems to be on the back burner. Many women in America now find themselves ensnared in a sticky legal bind that can be, quite literally, a manner of life or death: If a woman can't afford to have a legal medication-induced abortion in a clinic, but uses the same or similar drugs at home, they may be charged and prosecuted. And if a woman needs medical attention following the self-termination, it appears it's all but certain there will be consequences.